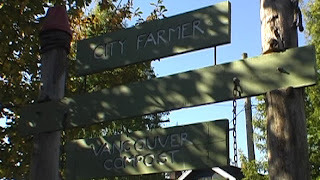 When I was in Vancouver a few months ago for the Bridging Borders Toward Food Security conference, I visited a number of Urban Agriculture projects, the most significant of which was City Farmer. City Farmer has been focusing on Urban Agriculture for almost 30 years and their web site is, for many people, the main portal into the diverse world of growing food in a city. To visit City Farmer is to "step on hallowed ground". I was very fortunate to spend a beautiful October morning with Michael Levenston, Executive Director and Founder of City Farmer, and Joe Nasr, co-author of the seminal reference book Urban Agriculture: Food, Jobs and Sustainable Cities (which is due to be re-published later this year). I really like Michael's approach to Urban Agriculture, which is focussed on helping people to grow their own food. 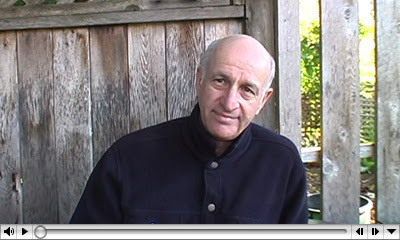 Thankfully, Michael agreed to be interviewed for my blog, and I asked him about the history of City Farmer, their main activities, the changes over the last 3 decades and about his own viewpoints on Urban Agriculture. There are many different forms of sustainable food supply systems, but the most effective, although usually the least discussed, is for people to grow some of their own food. I could write a lot about this, but for now I thought I would list the three main reasons why my family and I grow our own food. 1. Growing our own food is the best thing we can do for our health. All of that fresh air and exercise, abundant amounts of fresh fruits and vegetables, a relaxing and productive way to spend our time as well as a deep sense of pride and connection with the natural systems - all of this has enhanced our mental and physical health. With the possible exception of finances, this is the most obvious reason why many people grow their own food. 2. Growing our own food is one of the best things that we can do for the local and global environment. By gardening in a sensible way, the food that we grow and eat ourselves requires few external inputs, causes no pollution, travels zero food miles, is essentially "carbon free" and all wastes are naturally recycled into next years' food. As I have said before, environmental issues provide the imperative for changing our food supply systems, and growing our own food is the easiest, cheapest and most effective way to make a difference. 3. Given the nature of power in our societies and the extent of control exerted by multinational corporations, growing our own food is one of the most significant acts of civil disobedience that we can participate in. Our diet, our health and well-being, our sense of belonging and our perception of what is important, is manipulated and controlled by powerful interests for the sake of profit and the economy. This is the foundation of our dominant food systems, and provides the greatest obstruction faced by those who seek change, but every time that we eat something that we grew ourselves, we are putting power and control back into our own hands, where it belongs. My family and I are not 'self-sufficient', but we do produce a substantial amount of our primarily vegetable based diet, while living close to the centre of Dublin, Ireland. I am not suggesting that everyone should be growing most of their own food, but the more food that is eaten by those who grow it, the better the world will be. Even a little bit helps. This fact should be recognised by any environmental, health or social policy and should be a central focus of our urban planning. A few months ago I was talking with my good friend Donald Chong, who I had met while studying architecture. Our focuses had diverged over the years - his towards architecture and urbanism and mine towards environmental issues and food systems - but lately our discourse, and our interests, have converged towards the relationship between cities and food. In the middle of our latest discussion, he suggested that we needed a name for the wide variety of interconnected issues that both of us had been exploring. He was right, a label was needed, something that not only did justice to the complex relationship between food and cities, but somehow encouraged a broader recognition and exploration of this relationship. He claims that we came up with the term Food Urbanism on that day, but it was only when I was trying to find a good title for this blog, I 'rediscovered' it. I was originally going to focus this blog on Urban Agriculture. I wanted to explore the many ways in which growing food close to where so many people live can benefit our societies, our mental and physical health, the local and global environment, our economies, our livelihoods, and how it can provide for real community security. Urban Agriculture is a major interest of mine, but as a primary focus, and a title of this blog, I came to realise that it is not broad enough. When I talk of Urban Agriculture most people do not automatically think of the relationship between food and culture, or about how food production affects the local economy, or about how our culinary habits affect the global environment. For most people, Urban Agriculture simply means growing food in the city. 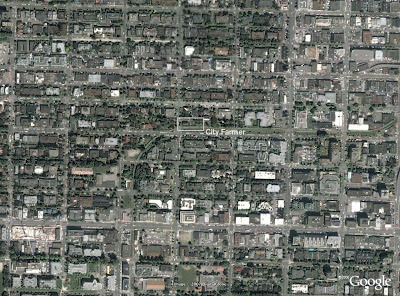 Food Urbanism, on the other hand, could be a much broader heading, covering a wide area of interrelated topics. More than simply finding a unique title for my blog, this search for a label is based on a belief that something does not really exist culturally unless it has a label (or a 'signifier' as my brief study of semiotics at university taught me). For example, when the term 'Global Warming' is used these days, it means a lot more than simply the global increase in average temperatures. We are just as likely to think of rising sea levels, hurricanes, drought, polar ice caps, SUV's, heat waves or, depending on your point of view, of the economically destructive rantings of left-wing eco-fascists. This one signifier represents a broad concept that brings together so many ideas and thoughts beyond its basic definition. But more importantly, it allows us to talk about this huge issue and to (hopefully) do something about it. The search for an appropriate title for my blog led me to speculate that we do not talk about the relationship between cities and food because we have never taken the time to name this relationship, or at least to name the study of the diverse interconnections between food and cities. To me, Food Urbanism seemed to be both broad enough to include a wide range of topics and precise enough to define a field of study, but the more I looked into it the more appropriate it seemed. I have used the term urbanism for years, but looking at it again within a new context what struck me about this definition was the absence of food. Could we not talk about the food environment of a city and how it imprints on the built environment? Can food be described as a force? Isn't food a major part of human communities? I was also intrigued by the distinction between urban and rural, which seems obvious enough, but how does that relate to food? Is there such a thing as urban food and rural food, or even suburban food? 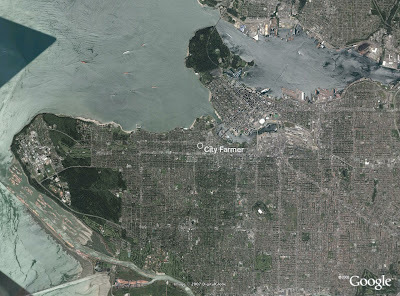 Are there fundamental differences between urban food systems and suburban food systems? Could a comparable definition be that Food Urbanism is a theory of urbanism arguing that food, rather than anything else, is more capable of organising the city and enhancing the urban experience? That is a rather bold and provocative statement, one which the architect in me is uncomfortable with, but why not? What would a city and the urban experience be like if food was the primary organising force? I searched through a number of different references and sites relating to Urbanism and failed to find a single meaningful reference to food. This caused me to speculate about what cities would be like today if the study of urbanism over the past century had seen food as a major aspect of a city, worthy of serious consideration (comparable to, but distinct from, economy or transportation)? Perhaps many of the social, cultural and environmental problems that have been caused by the relentless urbanisation of the world's population, would have been greatly reduced if the relationship between food and cities had been seriously considered. In trying to find an appropriate label for this blog, I have come to realise that a major part of the mess that we have made of, and the damage that has been caused by our cities could be traced back to the fact that food was not included within "urban studies". It was not considered an important topic, either through ignorance or perhaps because of the belief that food was simply one of many "goods and services" to be provided within a city rather than a primary need with considerable social, economic and environmental consequences. Perhaps the reason that the complex relationship between food and cities continues to be ignored outside of small circles is that we have not established an appropriate label or signifier for this relationship. So, I offer Food Urbanism which I would define as the study of food as a fundamental aspect of a city, the study of how food relates to the economic, political, social and cultural environments of a city, and the study of how food imprints on the built environment. I would also see Food Urbanism as a theory that positions food is a primary transforming force capable of organising the city and enhancing the urban experience.